Keep it simple and you'll get a better value. The six-cylinder version of the X5 is quick enough for most drivers, but adding even the third-row seat and navigation system can jack up the sticker price quickly. Also consider that resale value might be notably higher for the new diesel model. The 2009 BMW X5 is one of the better-handling utility vehicles of any shape, and a newly available diesel makes it even more appealing, but its styling and interior fail to wow. TheCarConnection.com's editors drove the new BMW X5 in order to give you an expert opinion. TheCarConnection.com's experts then researched available road tests on the new BMW X5 to produce this conclusive review and to help you get the most complete impression of this luxury SUV. The BMW X5 is better than ever, but it can use more dramatic styling and an iDrive transplant. For 2009, the BMW X5 returns with some revised features and a new diesel model, the X5 xDrive35d. By utilizing BluePerformance Technology, which incorporates AdBlue injection, in the 2009 xDrive35d’s inline six-cylinder engine, BMW is making diesel technology available in all 50 states. The xDrive35d utilizes two turbos of different sizes for heightened responsiveness. At its maximum, the xDrive35d produces 425 pound-feet of torque at 1,750 rpm and 265 horsepower at 4,200 rpm. The diesel feels considerably more powerful than the base gasoline engine, a 260-horsepower, 3.0-liter six-cylinder, and it would be the preferred choice over the optional 350-hp, 4.8-liter V-8 for those who plan to tow or haul heavier loads. All engines use a six-speed automatic transmission to get power to all four wheels via standard all-wheel drive. The 2009 BMW X5 is a rather tall vehicle, yet it stays remarkably composed in corners, with the all-wheel-drive and electronic stability-enhancing systems always maintaining an even keel. The automatic shifts with authority, but is smooth at cruising speeds and in Sport mode alike. With or without the optional Sport package (which adds 19-inch wheels, run-flat all-season tires, and BMW's AdaptiveDrive stability and automatic damping control system), anything like legal speed driving doesn't begin to challenge the X5's composure. The 2009 BMW X5 is capable of transporting seven passengers, now that BMW's fitted a third-row seat to its interior, and interior room is good for all occupants. Exterior styling doesn't change much. The X5 was never one of the most handsome vehicles in its class, but it is inoffensive. Inside, it's fairly austere and decked out with gadgets like the infuriating iDrive controller that operates the audio, navigation, and climate controls. The X5 earns the Insurance Institute for Highway Safety's Top Safety Pick award and scores high in federal crash tests, earning mostly five-star ratings, save for a four-star side-passenger impact rating and a four-star rollover rating. 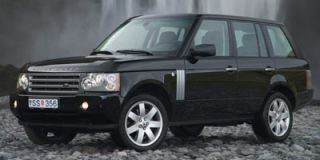 Most reviewers consulted by TheCarConnection.com find the 2009 BMW X5 attractive but not particularly compelling inside or out. 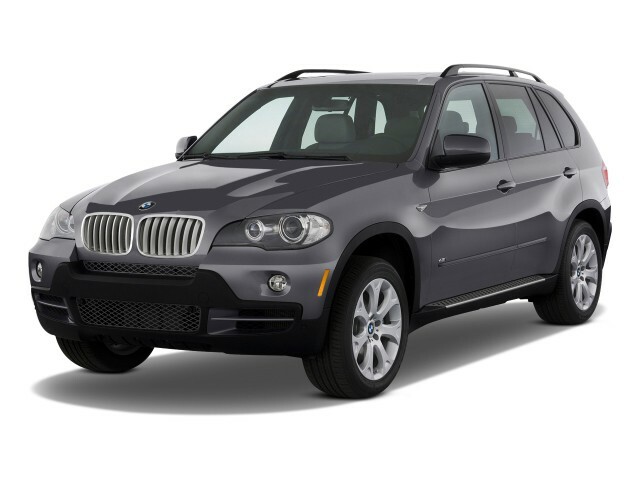 While the 2009 BMW X5 is attractive for a crossover vehicle, it does not bring much new styling. 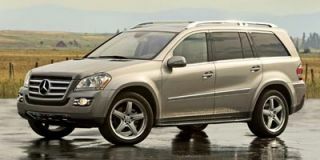 Commenting that the "BMW X5 looks like pretty much any other crossover," MyRide.com notes that the 2009 BMW's "taller cabin and cargo space" allows for larger windows and large outside mirrors. Car and Driver adds that the second-generation X5 is both longer and wider. Overall, the 2009 BMW has taken styling cues from other Bimmers; Edmunds says the "exterior sheet metal mimics other designs by BMW stylist Chris Bangle, though here the flanks seem less chiseled, the creases more softly hewn." According to Edmunds, the 2009 BMW X5 is a "midsize luxury SUV available in two trim levels: 3.0si and 4.8i." As the trims refer to engine size, there are no significant exterior styling differences between the two. Both trims, reports Kelley Blue Book, sport "signature twin-kidney grilles...prominent between a sculpted power-dome hood and a black lower fascia," while in the back "a functional roof spoiler houses the high-mounted brake lamp, and large oval dual exhausts are imbedded in the black lower fascia." Edmunds calls the interior of the 2009 BMW X5 "one of the most elegant BMW has ever built," noting that the "dash is gently curved, with handsome wood inlays, generously sized air vents, oversized instrumentation and a truly gorgeous soft-feeling top that unifies the whole design." Cars.com says, "like other BMWs, the X5's cabin is sleek and purposeful without a lot of extra frills to get in the way of driving." MyRide.com remarks "when you sit in the driver's seat, you are surrounded by a combination of luxury and truckness." The performance of the 2009 BMW X5 is superb, with reviews praising its handling and the powerful nature of the engine. With a sporty feel and reasonable fuel economy for its class, the 2009 BMW X5 is definitely not just another stodgy SUV. The performance of the new-for-2009 diesel-powered X5 proves especially impressive. According to Cars.com, “The X5 xDrive35d has a huge reserve early on that propels the 5,225-pound SUV like a freight train. Though it gives up some high-revving power to the xDrive48i's V-8, in everyday driving, it feels even beefier.” The reviewer “noticed some accelerator lag early on, but by the end of the week the SUV moved without hesitation. In comparison, Mercedes' turbo-diesel ML320 and GL320 Bluetecs exhibit annoying—and potentially dangerous—accelerator lag no matter how long you drive them.” Popular Mechanics says, “Click the fly-by-wire shifter into 'D' and heavy pressure on the right pedal produces strong thrust. 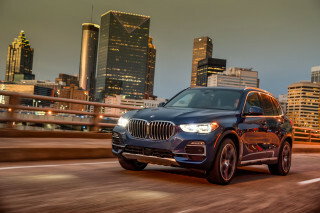 Remember, there's 425 lb.-ft. of torque way down at 1750 rpm, so the X5 accelerates with far more insistence than you'd expect from a 3.0-liter inline-6.” Its EPA-estimated fuel economy is 15 mpg city, 21 highway and 18 combined, reports Edmunds. 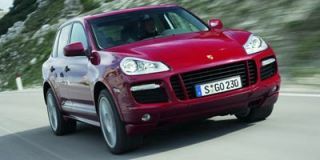 According to Cars.com, the 2009 BMW X5 in 3.0si trim has a "venerable 3.0-liter six-cylinder engine," which produces 360 horsepower with 225 pound-feet of torque. 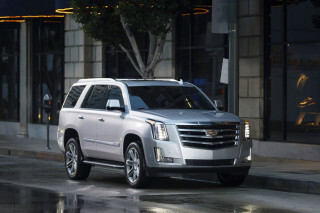 The 4.8i trim's "4.8-liter V-8 makes 350 hp and 350 pounds-feet of torque." Edmunds reports that "in performance testing, the X5 4.8i went from zero to 60 mph in 7 seconds"; Cars.com's speed tests have the 3.0-liter engine doing 0-60 in 7.8 seconds and the 4.8-liter doing it in 6.4. Car and Driver predicts that the 3.0si "will be enough for most" and says that the "V-8 is a bit over the top." As for towing, Cars.com states the "inline-six and V-8 versions are both rated to tow up to 6,000 pounds when properly equipped." Both powerplants of the BMW X5 "feature BMW's exclusive Valvetronic electronic valve actuation and Double VANOS variable valve timing, which contribute to better-than-expected fuel efficiency for such performance-oriented vehicles,” reports Kelley Blue Book. 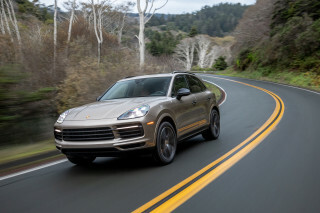 The result, says Car and Driver, is that while the driver is enjoying an excellent driving experience, "the powertrain is busy eking the most out of every drop of gas." Edmunds states that EPA fuel economy estimates for the BMW X5 are "15 mpg city and 21 mpg highway for the 3.0si, while the 4.8i returns 14 mpg city and 19 mpg highway." "As automatics go...the X5 is right up there with the best of them,” contends Cars.com, "both engines work through a six-speed automatic.” In fact, when it comes to the BMW X5, "the shift quality is excellent and the transmission kicks down when necessary." When the car is in sport mode, the kick-down is still quick and the engine braking "decent," especially since the "transmission doesn't upshift as readily." MyRide.com mentions that on twisty mountain roads, the BMW X5 does not handle in the way a large crossover usually does: "The 5 series underpinnings haven't been outweighed by a taller cabin and cargo space. Indeed, the X5 has both the power and the handling to make you think sport, not utility." Edmunds declares the X5 one of the "best-handling midsize luxury SUVs you can buy." According to Car and Driver, this 2009 BMW has "responsive steering, powerful engines, and a taut chassis," which give the X5 that athletic feel missing in most sport utility vehicles. Cars.com agrees, saying that the X5 "always feels stable and under control," with Car and Driver praising the "natural-feeling steering." There's little comfort in the third row of the 2009 BMW X5, but its interior is attractive and richly appointed. The quality of the materials and roomy seating of the 2009 BMW X5 make for a richly appointed, spacious SUV. Car and Driver calls the interior "comfortable and spacious" but notes "third-row space is tight." MyRide.com concurs, appreciating the "front/second row comfort," but not really feeling the "third row comfort" that the BMW X5 has to offer. Edmunds states that the "optional folding third row is best suited for children and gymnastically inclined members of the Lollipop Guild." Each rear door has a storage bin, giving this 2009 BMW plenty of places for stowing, as to not impede on the cabin space in use. Cars.com says, "the cargo floor boasts nearly four extra inches of length compared to its predecessor." MyRide.com notes the storage bins in both front doors and a "clever clam shell glove box" that allows an individual to place more than just the owner's manual inside. The center console is deep, with pockets on the back of each front seat to store maps and other items the rear passengers may need. The only complaint about the interior of the BMW X5 is the "flimsy plastic" used in the panels covering the opening of the ski bag and the tailgate's hinged panel. The plastic handle of the cargo area's locking bin is also considered flimsy. Edmunds believes the interior is one of the "most elegant" built by BMW. MyRide.com notes that the BMW X5's "plastics...have nice grain surfaces or are finished to look like aluminum." ConsumerGuide reports "some engine noise and coarse-surface tire thrum, but otherwise, the 2009 BMW X5 is pleasantly quiet." 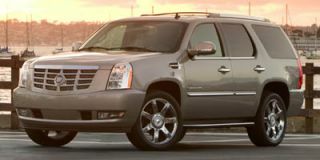 MyRide.com says, "Large mirrors do come with a drawback: wind noise." They note "some road noise," but it is no more than what they would expect from tires that can work well no matter the season. The 2009 BMW X5 scores well in crash tests and offers a plethora of standard and optional safety features. The 2009 BMW X5 earns the Insurance Institute for Highway Safety's (IIHS) Top Safety Pick award and scores high in federal crash tests, earning mostly five-star ratings, save for a four-star side-passenger impact rating and a four-star rollover rating. Kelley Blue Book reports that "Hill Descent Control, trailer stabilization, rollover protection system and two-stage front, front seat-mounted side and front and rear head-curtain airbags" are standard. Cars.com adds that the adaptive brake lights "illuminate over a wider area under heavy braking." In discussing optional safety features, Edmunds mentions the front and rear parking sensors to avoid minor fender benders, while MyRide.com lists the "anti-roll stability system and run-flat tires as part of a Sport Package." Edmunds notes that the BMW X5 "comes standard with antilock brakes, traction control, stability control, brake drying and standby"; this last feature is described by Cars.com as keeping "the discs clean during inclement weather." The 2009 BMW X5's "right side mirror dips to give a view of the curb, and its image is overlaid with a grid and lines that move with the steering wheel." ConsumerGuide reports "rear headrests partially block the view astern, but visibility is good otherwise, aided by available front and rear obstacle detection." MyRide.com agrees, saying that the BMW X5's large mirrors, large windows, and rearview camera result in "good visibility all around." The camera is automatically activated when the car is put in reverse, so there is no fiddling around with controls that can take away from the task at hand. The 2009 BMW X5 comes with a lot of options, though the iDrive interface can still be troublesome. The 2009 BMW X5 has plenty of standard features, and options include the latest in high-tech gadgetry. 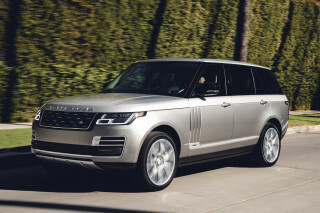 For the new model year, an automatic tailgate is added to the Premium Package; to the Cold Weather Package come heated rear seats; the X5 xDrive48i’s Premium Sound Package now includes an iPod/USB adapter, and deleted from the 48i’s list of standard equipment is the rear self-leveling suspension. Included on all 2009 BMW X5s are "remote operating one-touch power windows, dual-zone automatic climate control and AM/FM/CD/MP3 12-speaker audio with auxiliary input." The 4.8i model "features numerous additional items, including leather and a choice of wood trims." According to Kelley Blue Book, the BMW X5's "generous allotment of standard features includes six-speed STEPTRONIC automatic transmission, xDrive full-time all-wheel drive, all-season run-flat tires on 18-inch alloy wheels, xenon adaptive auto-leveling headlamps with automatic control, [and] panoramic sunroof." According to Cars.com, "a large information screen sits front and center," although they warn that it's operated by the "confounding iDrive," but the whole system can be bypassed using the "six programmable buttons on the center stack." Edmunds reports the Premium Package of the 2009 BMW includes "leather upholstery (3.0si), power lumbar support and an auto-dimming rearview mirror." The navigation system can also receive delay warnings, and it gets directions through an FM broadcast from Clear Channel Communications, says Cars.com. There is also the optional six-CD changer, though its "outdated design" means it's "located in the glove box," thus setting it back a bit. In addition, you can opt for a rear-seat entertainment center with an eight-inch screen in this 2009 BMW. Cars.com notes that the BMW X5's optional features "include front and rear heated seats, front and rear parking sensors, Comfort Access keyless entry and ignition, a head-up display and a panoramic moonroof that's made of two large glass panels and includes a power sunshade."